I promised you all more book posts for 2017 didn't I? 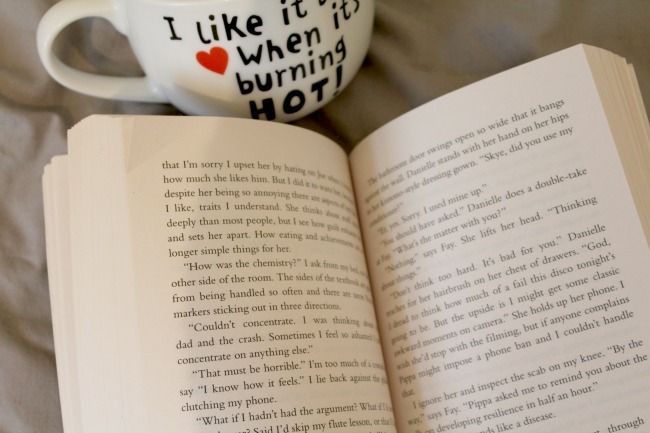 I am loving all the bookish posts that I've hit publish on so far this year, and they're really helping me fall back in love with reading. I've gone back to being that girl with her nose firmly wedged in a book on the bus, and I catch myself longing for more hours in the day to settle down into my book nook (aka my bed). Seriously though, I really do need one of those Pinterest-esque book nooks in my life. So, this month's top book for me was Lying About Last Summer. It pipped Mills' 'On the Subjection of Women' to the post, and way way surpassed Robinson Crusoe. I couldn't wait to be done with that one! 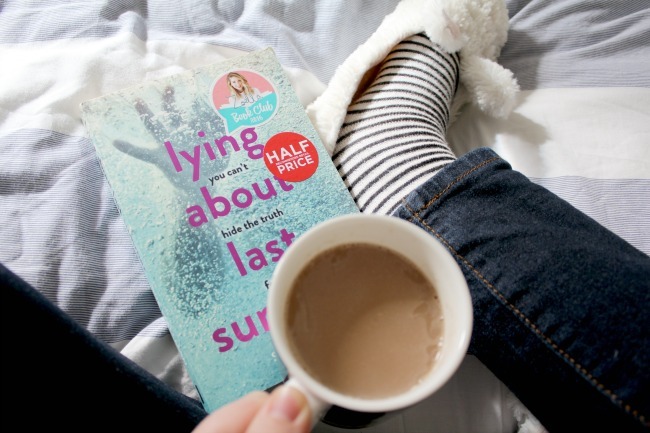 Lying about Last Summer is one of the Autumn 2016 Zoella book club picks. This is the second one I've read so far and I loved both of them. The novel centres around protagonist Skye, whose sister died in a tragic accident the previous summer. Except it wasn't exactly an 'accident'. Skye was there when it happened, and she knows that Luisa was pushed into the pool she drowned in. Skye finds admitting her presence on the scene of her sister's death hard to admit, but it's even harder to tell the truth about what she did to stop it: nothing. Desperate to put the past behind them, Skye's parents move far away from their old house, the one that Skye and Luisa grew up in. Away from her old friends, and with no sister to confide in anymore, Skye feels more isolated than ever. One summer on from Luisa's death, Skye's parents are sending her to a five day camp for bereaved children. Skye's convinced it will do no good: she's not been able to discuss what really happened with any of the multitude of counsellors she's seen, so what difference is the camp going to make? At the camp, Skye feels reluctant to open up about her sister's death, but after she does she gets some startling messages. Startling because they're from her sister's locked Message Hound account. Skye knows her sister's not alive, but she doesn't know who would be messing with her like this. Can she trust anybody? I whizzed through this book and was totally hooked on finding out who was messaging Skye. The narrative moves between the present day and the past, so as you move through the book you gain more of an insight into what went down with Luisa, and how Skye's life has changed. I love it when authors mix up timelines like this, and make novels less linear, so I was a big fan! What's your favourite book you read this month? There are so many fab reads in her book club - I can't wait to read more of them!